Patients suffering from an inability to smell soon will have an opportunity to seek help through a new UF Health smell disorders program aimed at improving diagnosis and management of these conditions. Physicians in UF Health’s department of otolaryngology are teaming up with the university’s research-focused UF Center for Smell and Taste to launch the UF Health Smell Disorders Program in early 2018. This new model pairs clinical care for smell disorders with extensive research and educational efforts underway to better understand and develop treatments for the often-mysterious conditions. An estimated 16.2 million Americans are affected by a severe smell disorder, which can impair the ability to detect when food is spoiled or gas is leaking, among other hazards. 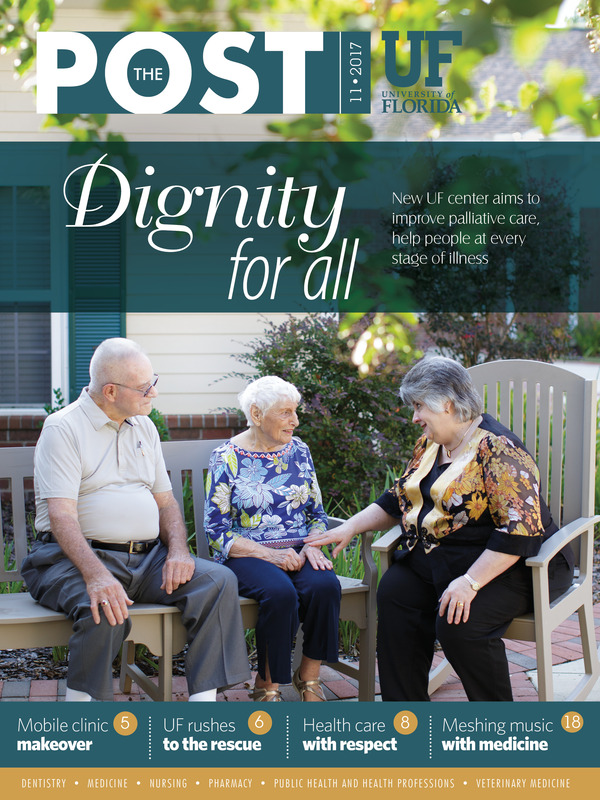 With few clinics around the world specializing in this condition, UF’s new program will provide a valuable resource to patients who are unable to smell, which can result from myriad other disorders, including allergies, chronic sinus infections, traumatic brain injury, Parkinson’s disease, congenital anosmia (the lifelong inability to smell) and more. The new Smell Disorders Program sprung from feedback provided by sufferers of smell disorders. Earlier this year, Steven Munger, Ph.D., director of the UF Center for Smell and Taste and a professor of pharmacology and therapeutics in the UF College of Medicine, partnered with a U.K.-based charity called Fifth Sense to host an education- and support-oriented conference in Gainesville. Those in attendance made one thing clear, Munger said: There are not sufficient resources available. They conceived the idea to start a new clinical program to operate in parallel with the basic science research and education efforts already underway at the Center for Smell and Taste, among the largest research groups dedicated to these senses worldwide, said Munger, a member of the Evelyn F. and William L. McKnight Brain Institute of the University of Florida. The new clinic will offer the latest technology with a new device called an olfactometer, which measures the ability to detect odors.